I’ve been volunteering at Cloud City Comics & Toys since February 2012. 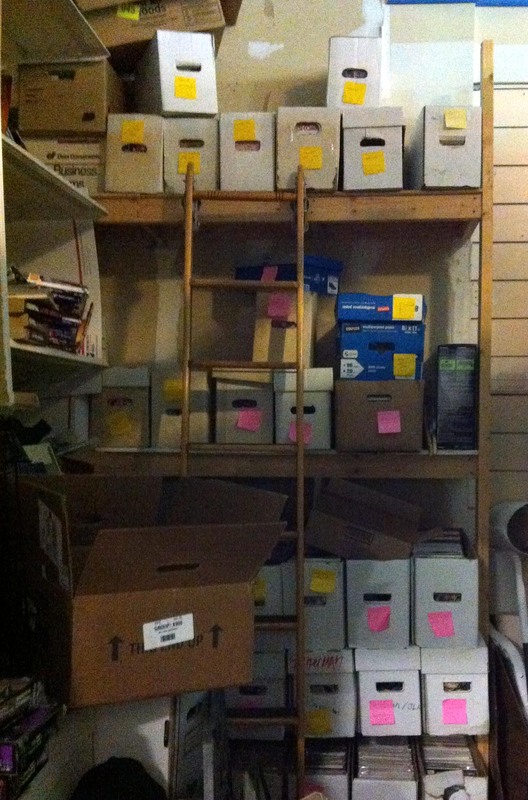 I help organize their boxes of back-issue comics, putting them in alphabetic and numeric order. I keep general tabs on the 60+ boxes of old comics in the front of the store, which are generally in order but can become slowly disorganized through their constant use by customers. Originally, I just organized these boxes individually. I am now engaged in a new “Uber Organization,” which is slowly creating an inter-box order, with the first box starting with the A comics and moving along to the last box ending with all the Z comics. There are scores of boxes to be organized and interpolated. 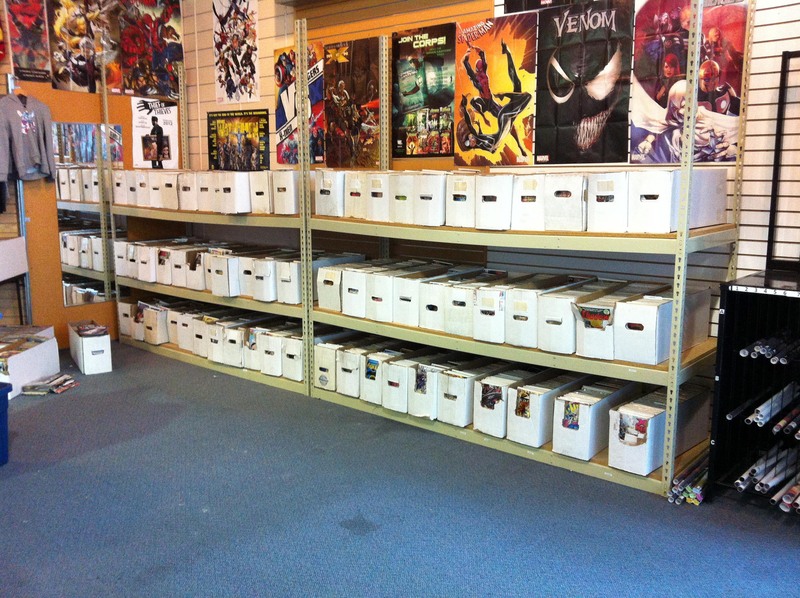 A standard comics long box holds about 200-300 comics. I can organize one to three individual boxes an hour, depending on how well they’re organized in the first place. With the new Uber-Organization, I can do about one box every two hours. I work on Back Issues depending on need. Originally I worked there about two hours a week. After I finished organizing all the boxes in the front and back, I took a break for a few months until there was more organizing to do. I am now back to working on the Uber-Organization every week. A lot of my work is about systems organization, and often I deal with very complex systems, as seen in my paleontology projects (some of which can be seen on this site), tree projects, or In Medias Res. Back Issues, on the other hand, intentionally deals with a very straightforward kind of organization (alphabetic and numeric), but also one that has a direct, positive, real-world impact on the store in which I volunteer: putting the comics in order improves the customer experience in the front of the store, and allows Cloud City to more easily put their back-room comics up for sale online. Since a lot of my work also involves me trying to help people for free (although I do get a discount on my comics, so not entirely free in this case! ), this “helpful volunteerism” is also an important aspect of the work. I want to thank Jeff Watkins, the owner of Cloud City, for generously allowing me to work with the store on this project.